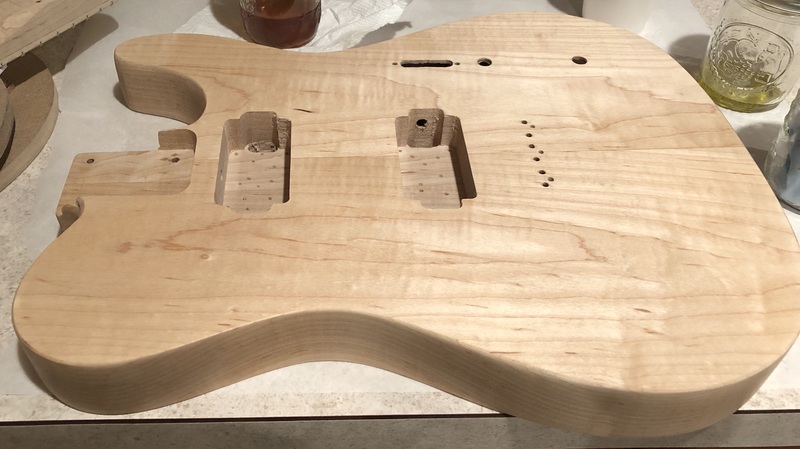 Roughed out the neck and made sure it fit. Made sure all the components fit. The first french polish session for the neck. The wood has a very nice figure. The first french polish session for the body. Got the pickguard cut and fitted.